Apple might be months away from unveiling its next-generation iPhone but the rumor mill is already in full swing. The company is gearing up to introduce its refreshed line of iPhones, including an all-new premium handset with a curved glass body and almost bezel-less screen, Bloomberg reports. Besides the revamped display, the new models are expected to come with boosted cameras as well as an all-glass design with a steel frame. While the report barely offers any new insight as to what we could expect from the upcoming iPhone, it does add further credibility to a heap of previous rumors. Building on earlier speculation, the publication hints the phone will come in three different sizes, all of which will sport a steel frame reminiscent of the iPhone 4. While the preemo model will feature an improved OLED panel, the remaining two devices are slated to pack a standard LCD display – like the iPhone 7. The revamped OLED panels will likely be manufactured by rival Samsung. Interestingly, Apple might also scrap the iconic home button in favor of on-screen keys à la Samsung Galaxy S8. Given that facial recognition might be coming to the new device, it remains unclear whether the company will move the fingerprint scanner to the back or ditch it altogether. One possibility is that Apple will include the fingerprint reader straight into the screen of the OLED version, but insiders claim this will be “technically challenging.” Samsung reportedly ran into similar issues while experimenting with on-screen fingerprint scanners. Another intriguing prospect is that the new iPhone might pack dual-camera setups on both the back and the front. Apple is also said to be experimenting with various configurations and designs, including a vertical camera system on the back. The new and improved cameras are rumored to use revolutionary cam tech that leverages depth sensors to create 3D selfies and other augmented reality gimmicks. Apple is expected to reveal its new iPhone lineup later in September, but shipping might be delayed a few weeks. And in case you’re eyeing the upcoming premium model: Better prepare your money from now, it could set you back more than $1,000. 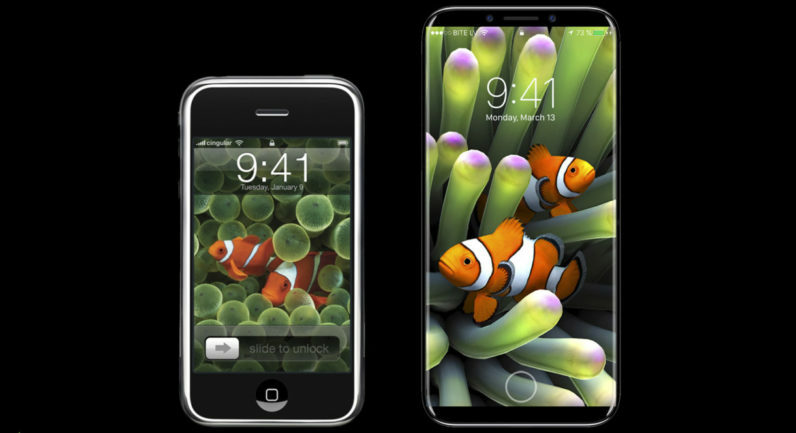 What would you most like to see in the next-gen iPhone? Let us know down in the comments.